There are direct flights to Florence City from London Heathrow (Veuling) and London City (City Jet). A 15 minute taxi journey from the airport to the city centre should cost around 20 Euros. Grape Escapes is ATOL registered, number 10831 and we would be happy to book your flights at cost, however a booking fee of £25 per person applies. For those who do not live close to the London airports, flying to Pisa is also an option. There are direct flights from most UK airports, allowing complete ease of access. Florence is around 1 ½ hours from Pisa by road or just over an hour by shuttle bus from the airport. Tickets cost from €4.99 per way and can be purchased via http://www.terravision.eu/florence_pisa.html. For those considering hiring a car to travel to and from the airport, we have a helpful car hire search engine on our web site. We offer a broad range of tours across Tuscany, ranging from short but sweet budget-friendly tours to our VIP exclusive tours with the opportunity to stay in luxurious 5* hotels or villas. 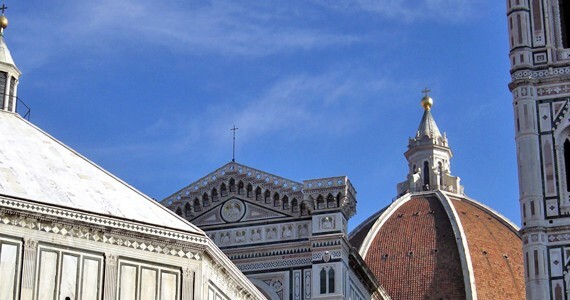 There are direct flights to Florence City from London Heathrow (Veuling) and London City (City Jet). A 15 minute shuttle or taxi journey will take you to Florence SMN train station, where you will be able to travel directly to Siena by train in an hour. If you would prefer an executive chauffeur transfer, this can be arranged for £139 per person return (based on two people). Grape Escapes is ATOL registered, number 10831 and we would be happy to book your flights at cost, however a booking fee of £25 per person applies. For those who do not live close to the London airports, flying to Pisa is also an option. There are direct flights from most UK airports, allowing complete ease of access. Siena is 1 ¾ hours from Pisa and executive chauffeur transfers cost £191 per person return (based on two people). Alternatively the airport a short distance from the train station, where you will find regular trains to Siena (via Emploi). The journey time is 1 ¾ hours. For those considering hiring a car to travel to and from the airport, we have a helpful car hire search engine on our web site. I just wanted to say thank you for an amazing trip! It was thoroughly enjoyed and appreciated by the ladies. We will definitely be booking again with you in the future, so please do keep me abreast of future experiences.